In the Year 2008, Jason Vorhees is cryogenically frozen in a Government Facility in Camp Crystal Lake, along with scientist Rowan. Many centuries later, in the year 2455, Earth is uninhabitable, and humans have moved to another planet known as Earth II. However, a team of students awakens both him and Rowan on a spaceship known as the Grendel. 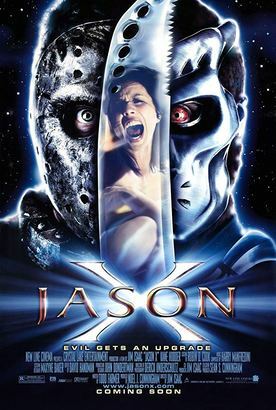 Jason begins killing the students and crew of the ship. Along the way, he is upgraded to Uber Jason. It's now up to Rowan and the surviving students to stop Jason, this time on a spaceship.